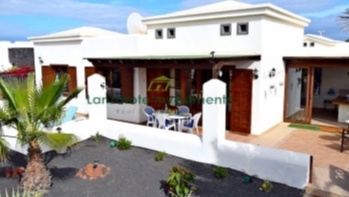 Semi detached bungalow with large terrace and communal pool view for sale in Playa Blanca. Located on a small complex, just 2 minutes walk from Playa Flamingo beach. 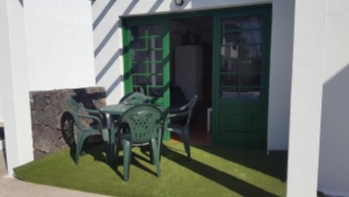 This bungalow comprises of 1 bedroom, 1 bathroom, open plan living area with new kitchen and a large terrace. From the large terrace you are overlooking the communal pool. The complex has beautiful well manicured gardens. 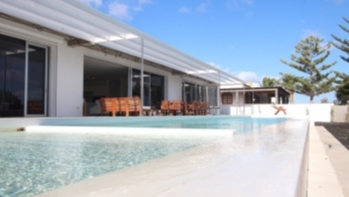 There is a large communal pool with a separate kids pool and a pool shower. Parking can be in the complex. 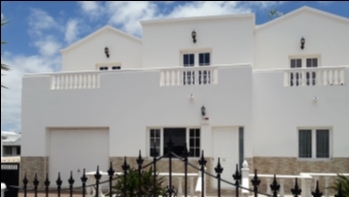 This property is located just 2 minutes walk from the Playa Flamingo beach, restaurants, bars and supermarket.